In Leaders to Follow, ILI President & CEO Jaroslav Tusek reflects on the lessons learned by both participants and ILI officers as they took part in the historic emergence of these Central and Eastern European countries into competitive free-market economies operating in liberal democratic systems. "At a time when liberal democracies are under attack, it’s good to remind ourselves of the enduring principles of leadership that made it possible for leaders to transition from isolated totalitarianism to the interconnected economic and political world of the 21st century. Leaders to Follow outlines the seven key principles of leadership that guided the International Leadership Institute’s Business Leadership Forum: USA programs (delivered after the 1989 fall of the Berlin Wall) for executives from former Soviet-bloc countries transitioning from state-planned, communist economies. These principles are still relevant for leaders in today’s free-market liberal democracies. Illustrated with stories from our BLF: USA participants, the seven principles can help anyone in a leadership role to perform effectively in an increasingly interconnected world." Published by ILIP as a print book and an eBook, Leaders to Follow is available on amazon.com. Click on the photo of the red Norwegian cottage (to the right) for more information. Click photo to read an excerpt! 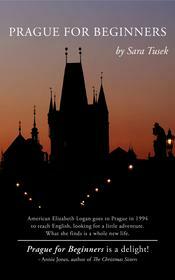 Prague for Beginners takes readers on a tour of 1994 Prague as seen through the eyes of American Elizabeth Logan, who’s come to teach English. The 1989 collapse of Communism launched the Czech Republic (then Czechoslovakia) and its capital city, Prague, like a rocket into the bigger world. Those who weren’t there for the adventure can scarcely conceive of the energy unleashed by the Czechs’ new freedoms and the tremendous revitalization of the 1200-year-old city. Elizabeth arrives in Prague on the second wave of expats. The city is already well into its very rapid and thorough changes, but there is still enough of quirkiness and hidden corners in Prague to enchant Elizabeth. 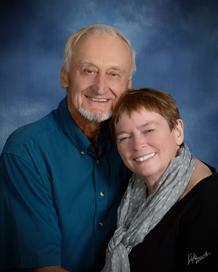 Her Czech friend Marek supplies Elizabeth with historical and cultural background and insights that are woven into the book’s narrative. Her impressions of the city and the people she meets supply the reader with a deeply moving image of 1994 Prague in all its beauty and mystery. Click on the photo of Charles Bridge (to the left) to visit the amazon.com page for Prague for Beginners. As the former Soviet bloc countries became better integrated into the world economy, ILI shifted its focus from economic development to programs that help individuals develop ethical leadership skills, moral character, and social responsibility. ILI was inspired by Václav Havel’s speech at Columbia University in 2006, in which he stated, “I believe that certain human values like solidarity and civil rights are the most important things and that everything else in a society should be subordinate to these values.” Recent ILIP books reflect this shift: Prague for Beginners brings to life one year, 1994, in the transition from totalitarianism to freedom. Leaders to Follow showcases the seven key leadership principles we taught in our ILI Business Leadership Forum: USA programs. Our new book, Reinventing Your Future, gives strategies for managing your career in turbulent international markets. 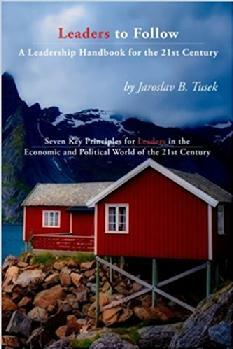 International Leadership Institute Publications (ILIP) is the publishing arm of the Institute. Since 1990, we've published books, periodicals and other publications that enhance our activities and further our mission. ILIP publishes books (Reinventing Your Future, Leaders to Follow, 21st Century Jobs, Your Career Passport, The Career Development Kit for Future Leaders, Designing Your Future, College to First Job Step-by-Step, Career Development Handbook, Looking Ahead); an archive of newsletters, which can downloaded for free on this website); training materials; and articles for newspapers and magazines.